October was a busy month and it's hard to believe we are in November already! 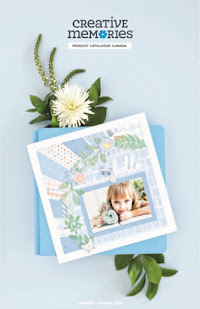 I am looking forward to creating and sharing some holiday projects with you using the new Creative Memories Christmas Past collection, but as I impatiently wait for it to arrive I am familiarizing myself with being a new Forever Ambassador! Some of you might remember using CM's software programs, "Memory Manager" to organize, sort and store your digital photos, and "Storybook Creator" to create digital scrapbook pages. I love those programs and continued to use them well after the old CM went out of business. Since the new CM doesn't have any digital options for us and the old software wasn't supported anymore, I researched Forever, which turns out to be the owner and developer of the original software and was simply marketed and branded by CM. 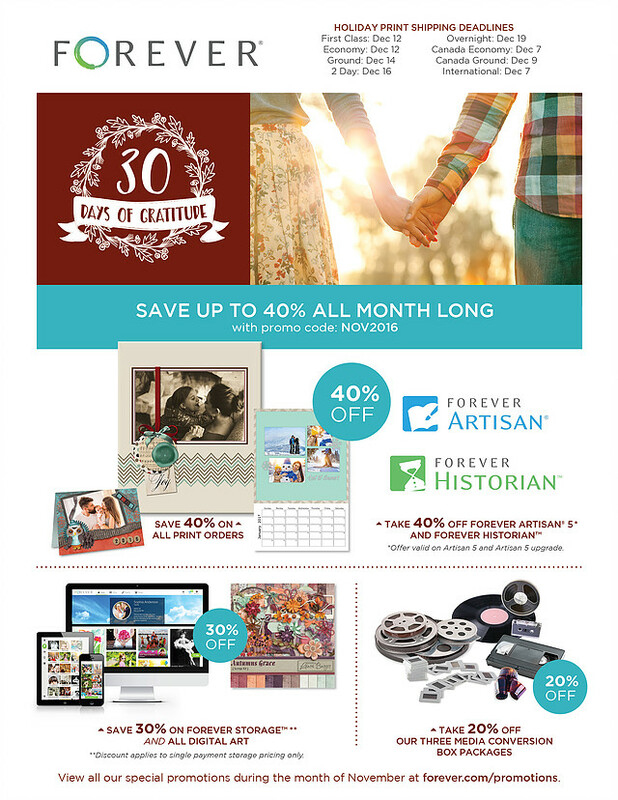 I was so glad to be re-united with my favorite software under their newer names of Historian (photo organization) and Artisan (digital scrapbook design)! But it turns out that Forever offers much more than just wonderful software - it offers a huge selection of digital art packages, printing of photobooks, cards, calendar and more, media conversion services for those old slides and filmstrips, and permanent storage for all your digital images! 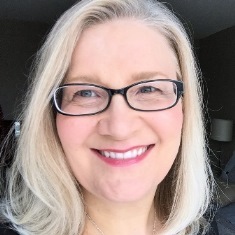 I realized that there was so much that I personally wanted to use, that during October I joined as a Forever Ambassador so I could start sharing these valuable services with my friends, family, online readers and existing CM customer base. As I explore and learn about Forever's services I will be sharing tips and tricks with you, and of course letting you know of super deals (like these November Specials)! This is definitely the month to purchase software and digital art, get Christmas gifts printed or finally make sure your images have a forever home. 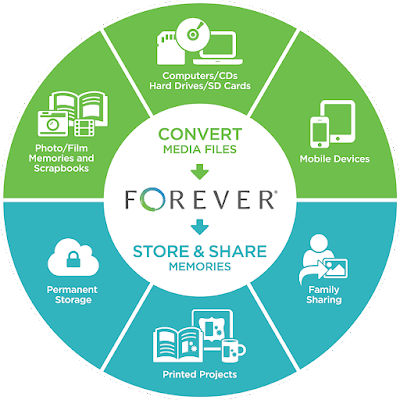 I invite you take a look at this quick overview of how you can collect, curate and celebrate your photo memories, and then visit my personal Forever website to learn more about the products and services Forever offers. I look forward to this new aspect of my Memory Keeping journey!